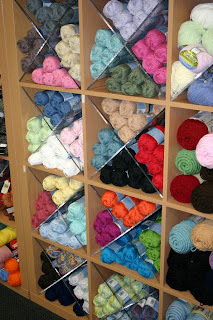 New and Fun Yarns have arrived from Plymouth Yarn for Spring in New Hampshire! As everyone who lives here knows, Spring days and nights can go from 20 to 70 and then back down again in a few hours. Hard to dress for the right temperature, but we love it! It is an interesting mix to see some still wearing winter coats while others have taken out the shorts! 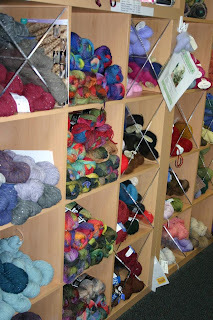 With this in mind, when we order yarn for Spring, it is difficult not to order alpaca and wools with the new cotton blends, so we ordered it all! Come and enjoy the selection in store and online of all the fabulous new colors and yarns from Plymouth which arrived just yesterday! 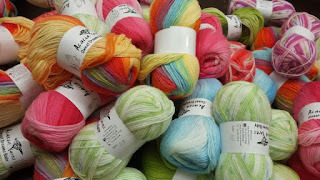 There is so much yarn, we may be unpacking boxes until Sunday, but all of the inventory is online and available for purchase! New lines include Diversity Yarn - the new elastic sock yarn and Jeannee yarn - a worsted cotton acrylic blend that arrived in every color! We also restocked Baby Alpaca Grande in lots of colors including lots of new ones! 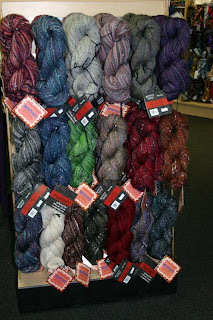 Also in every color is Mushishi yarn and Gina yarn. Superwash Merino and DK Superwash Merino yarn have arrived in lots of colors! Lots more to see instore and online... Happy Spring! New Ivy Brambles Silver Cloud Yarn, Midnight Ruffles Shawl Pattern and a Quick and Easy Tornado Scarf for Someone You Love! 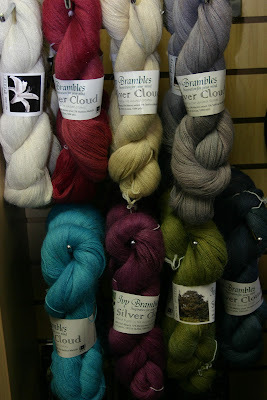 Introducing a new yarn from Ivy Brambles - Silver Cloud! Light as a feather, Silver Cloud yarn is beautifully soft and durable. Ivy Brambles Silver Cloud is a superb blend of 80%Suri Alpaca, 15% Super-Fine Merino Wool with a touch of 5% Stellina silver metallic that adds a special touch. Silver Cloud yarn is a lace yarn which comes in hanks that are 125 grams (4.5 oz) and 1094 yards (1009 m). Hand dyed in the United States. Recommended needle size is a US 4-5 (3.5-3.75 mm) or needle size to obtain desire gauge. 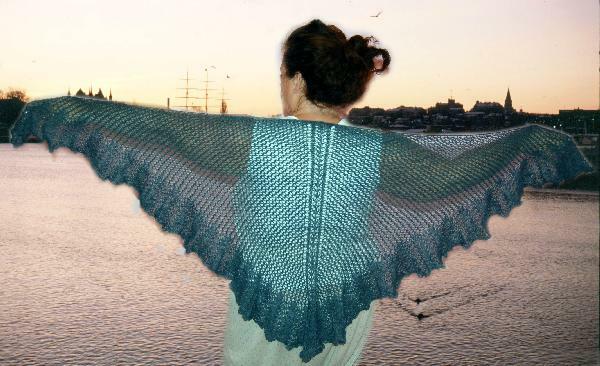 The Midnight Ruffles shawl is a gorgeous example of how beautiful the Silver Cloud yarn is to knit. Only one skein of yarn is required to knit the simple but elegant Midnight Ruffles shawl which is warm, stylish and designed by Jocre Arts. The Midnight Ruffles Shawl features a feathered ruffled edge and is worked in Ivy Brambles light as a feather Silver Cloud Yarn using a US 4 (3.5 mm) circular needles which produces a gauge of approximately 13 sts per 2 inches (5 cm) in spine pattern including the yarn over on either side of spine when blocked or lightly stretched. 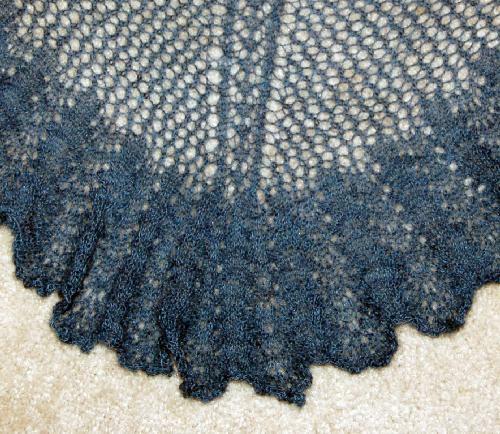 Finished dimensions for the Midnight Ruffle Shawl are approximately 70 x 30 inches (178 x 76 cm). Also a treat for you! It is never too early to start your Christmas knitting! Amanda has come up with a quick and easy way to use a skein of Ivy Brambles Tornado in a scarf in a few easy steps. 1) Use two skeins of Ivy Brambles Tornado yarn and size US 10 needles. 2) Cast on 23 stitches. 3) Knit 6 rows. 4) Slipping the first stitch of EVERY row, Knit 1 row, Purl 1 row to desire length. 5) Knit 6 rows and bind off on last row 6) Block and give to someone you love! Easy peasy! This gorgeous scarf measures 7 inches wide by 72 inches in length. 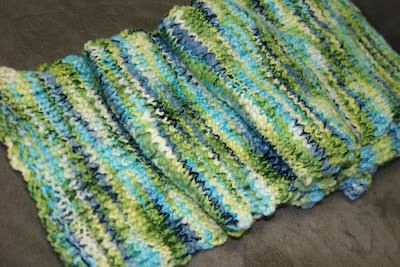 Thanks Amanda for sharing your quick and easy pattern and for creating such a beautiful scarf!